I intended to start this challenge on the 1st of February but you know the best-laid plans and a 2-year-old don't always go hand in hand. I have not done a reading list in several months, but have still managed to find the time to read (and often listen) to many great books. So for the next 28 days, I'll be featuring a book I've read and a little synopsis of why I think it's great. There are so many fantastic books out there that allow you to escape to far off lands, gain a better understanding of others and yourself, and to simply learn. 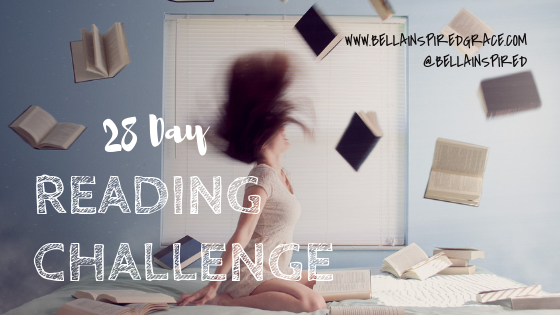 I have enjoyed reading my whole life and I hope you enjoy my picks for the 28 Day Reading Challenge. First one up is my recent book club book, "All We Ever Wanted ". This book is set in the South and follows the story of Nina, Tom, and Lyla. It delves deep into what it means to be a teenager today amid the Snap Chat and social media craziness. It asks how today's wealth, privilege, and entitlement has taught our kids that they can be above it all even when they've done wrong. The book also shows how hard work and a common sense of decency and doing what's right can still prevail despite the challenges riding against it. You'll cringe at what teenagers do and what parents will do on their behalf. It left me hoping that I am able to raise my little girl with a proper sense of self, to always be kind, and that she will never always gets what she wants. I highly recommend reading this page-turner.